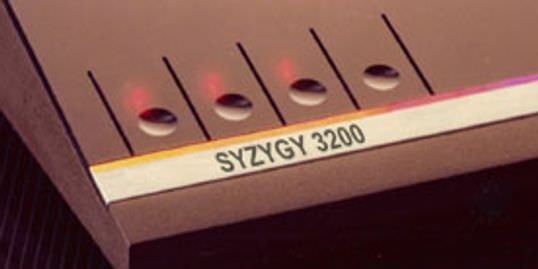 The folks from Syzygy have announced they will be releasing a new console that will be fully 2600 and 7800 compatible called the Syzygy 3200. I figured I'd share this here after seeing some details about it posted over on Atari Age. Engineered to bring back the excitement, fun and thrills of owning a system that everyone loved and wanted. With Atari* 2600/7800 compatibility to allow the system to be able to play real 2600 & 7800 game cartridges. Designed into an all new sleek case design that was a prototype for an unreleased console called the 3200. Now everyone gets to own this elusive prototype design, including all new combo controllers. Both joystick AND paddle controller built into one, with a sleek low profile design, this brings a whole new dimension to game players. Its like getting that system you had always wished for back in the 80's and 90's and finally it has arrived. Thanks to so many contributors in the hobbyist community, there is now a brand new system to use with original and many of the newest released 2600 & 7800 games. Re: New Syzygy 3200 Console! Help me understand the why? Seems to be the "inn" thing nowadays, no? But, come to think of it, it makes sense. Remember the original consoles are quite old. A newer alternative will keep the games going even if the consoles stop working.